A first draft holds the possibility of what will be a great story. Revision turns that rough diamond into a spectacular gem worth a reader’s money and time. Writers are individuals but to be a producing writer means creating a system to revise and polish a work so the reader thoroughly enjoys the story. REVISION IS A PROCESS is a guidebook for writers and authors that shows how a simple 12-step process can be tailored to eliminate the most common and chronic maladies of writing genre fiction. This valuable guidebook contains secrets, tips, practical advice, how-to’s, and why-to’s for taking the frustration out of self-editing.
. . . revision is a process . A logical, straightforward process where you don’t try to find and fix everything at once. Instead, you break the monumental task into component parts and focus on only an item or two at a time. Okay, so the reality is that creative people, especially writers, hate logic and straightforwardness. And it’s a fact that logic and creativity have always been at war with each other. After all, creativity gives a writer a high like no other. It’s the fun part of writing and storytelling. On the other hand, revising, rewriting, and self-editing are linear, logical, objective—and not fun. Ever so necessary if one intends to be commercially successful in the writing business. Here’s something I’ve learned about writing and self-editing—a writer should find a middle ground. That means having the logical part of one’s mind work with the subconscious imagination (the creative self). It’s about adopting a different view of self-editing—calling it a process—and diligently organizing that process into small steps that can easily be done. This gives a writer confidence that they have polished their story and increased its marketability. I strongly believe, and have seen, that revision-as-a-process enables a writer to use both their left (logical) and right (creative) brain to become even more creative. That’s because the writer not only tailors a one-of-a-kind process but they also develop their own revision master cheat sheets. As a result, the creative subconscious (the imagination) becomes aware of the pitfalls and glitches that must be checked for, and subsequently, little by little, the creative self dishes up better first drafts with far fewer errors. Catherine E. McLean’s lighthearted, short stories have appeared in hard cover and online anthologies and magazines. Her books include JEWELS OF THE SKY, KARMA & MAYHEM, HEARTS AKILTER, and ADRADA TO ZOOL (a short story anthology). She lives on a farm nestled in the foothills of the Allegheny Mountains of Western Pennsylvania. In the quiet of the countryside, she writes lighthearted tales of phantasy realms and stardust worlds (fantasy, futuristic, and paranormal) with romance and advenure. 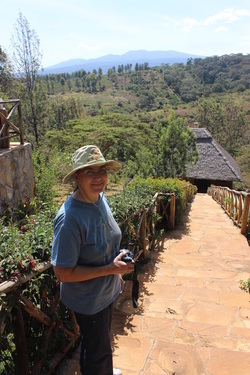 She is also a writing instructor and workshop speaker. Her nonfiction book for writers is REVISION IS A PROCESS – HOW TO TAKE THE FRUSTRATION OUT OF SELF-EDITING. What are four things you can’t live without? I have to narrow this down to four? Okay, how about— pets, a typewriter, a computer, and a camera. Pets— When my daughter needed a cat for a small animal 4-H project. Her 4-H book said it was best to start with a kitten. Cats being cats, it would be hard to tell what specific kitten would end up tolerating becoming a 4-H project. So we decided to get three kittens. Long story short—we ended up with seven kittens. Breeze, whose mother was feral, became our house cat and the 4-H cat. As the years went by, some of the cats died until we were down to the last three. They succumbed to kidney failure at ages 16, 16.5, and 17. All during the cat years, we had a dog. He died two years before the sixteen year old cat. So, being without pets sounded like a great idea, and the husband and I vowed that after the last cat passed there would be no more pets. Well you guessed it. The house seemed empty. After much soul searching, I decided to get a dog for myself. I wanted a lap-sized, dust-mop type dog. After three months of searching pet shelters and answering ads, I bought a mini Schanuzer-Bichon Frize female puppy. All fluffy gray. Her name is Mojee. She thinks she’s the cutest thing with each wag of her stubby tail. Please note Mojee has no aggressiveness in her at all. None. Back to the cat situation. Without cats, little wild varmints invaded the house. Chipmunks and birds thought they owned our deck. At a fall Tupperware party hosted by Amish neighbors, I mentioned I was looking for three barn kittens about six months old (that’s old enough for the mother cat to teach them to hunt and be self-reliant). Again, cats being cats, there was no telling how good a hunter a kitten would be. I was hoping for one out of the three. Long story short—in the spring I took ownership of three, identical “black” cats (no white) from an Amish farm two roads away. I named the kittens Winkin, Blinkin, and Nodd. Unfortunately, weekenders with a cabin came up over the 4th of July and ran over Winkin, killing him. Now I have two cats. Although it’s hard to tell them apart, both answer to Kitty-Kitty. Nodd prefers being a house and lap cat (she sleeps on my lap when I’m watching TV). Blinkin was renamed Mr. B and is a terrific hunter. As unbelievable as it seems, both cats love Mojee, play hide and seek with her, and allow her to drag them by the ear or paw across my hardwood floors. There is nothing like waking in the morning to the thunder of twelve paws racing across hardwood floors. As to the typewriter. I learned to type on a manual and despite the evolution to a computer, I have not only the original, manual, Smith-Corona portable typewriter my mom bought me when I was 16 but also a portable electric. When forms need to be filled out, an envelope typed, or I want to go downstairs and work on ideas for a story, I use the typewriter. There are still some things a computer cannot do as easily as a typewriter. Which brings me to my desktop computer. I live in front of it when drafting a story, when doing blog posts, when communicating with other writers by email. It’s the workhorse of my office, my storytelling, and for doing my online workshops and courses – http://www.writerscheatsheets.com/upcoming-workshops.html . Lastly, I cannot do without a good camera. My first camera gave me black-and-white pictures and eventually I bought a 35mm Cannon, which opened a new world of photography for me. Currently, I own a Canon Rebel digital camera. I went from having film processed to downloading photos to my desktop computer. However, because I used film, which was expensive to develop, I learned to frame my pictures before I took them and limited myself to only three shots of anything. As a result, the only touch-ups I might make to pictures is to crop them. Often, I get the photo with the first click. My photos have even won blue ribbons at the local fairs. My favorite subject is nature—flowers and rocks. Currently, I’m sky watching and taking pictures of clouds. I periodically post snapshots at my website http://www.CatherineEmclean.com (click on the menu for Photos & More). Take a look—which is your favorite? Creating a unique, immersive setting one place at a time. CREATING PLACES (THE ART OF WORLD BUILDING, #2) is a detailed how-to guide on inventing the heart of every imaginary world – places. It includes chapters on inventing planets, moons, continents, mountains, forests, deserts, bodies of water, sovereign powers, settlements, and interesting locales. Extensive, culled research on each is provided to inform your world building decisions and understand the impact on craft, story, and audience. You’ll also learn how and when to create history and maps. Experts and beginners alike will benefit from the free templates that make building worlds easier, quicker, and more fun. Learn the difference between types of monarchies, democracies, dictatorships and more for realistic variety and believable conflict. Understand how latitude, prevailing winds, and mountains affect climate, rainfall, and what types of forests and deserts will exist in each location. Consistently calculate how long it takes to travel by horse, wagon, sailing vessels, or even dragon over different terrain types and conditions. CREATING PLACES is the second volume in THE ART OF WORLD BUILDING, the only multi-volume series of its kind. Three times the length, depth, and breadth of other guides, the series can help fantasy and science fiction creators determine how much to build and why, how to use world building in your work, and whether the effort to create places will reap rewards for you and your audience. The term “tidal locking” will make many of us think of tides, but these are unrelated phenomenon. Our moon is tidally locked to the Earth. The same side is always facing us because the moon rotates on its axis in the same number of days it takes to orbit us. This might seem coincidental and unique, but most significant moons in our solar system are tidally locked to their planet; those nearest experience this first. Tidal locking is an eventual result caused by gravity. Early in a moon’s orbiting, it might not be tidally locked, but ours may have become locked in as few as a hundred days (its proximity and size having much to do with this). A moon that is not tidally locked may have recently formed or been captured by the planet. Either way, the stabilization process hasn’t completed. As world builders, we have some leeway to claim a satellite is locked or not. Most people are unfamiliar with the concept and we should only mention it if locking has occurred, as readers will assume the opposite without being told. Note that a close, large moon like ours will almost certainly be locked; during the brief period when ours was not, it and the Earth were molten and devoid of life. Normally, only the satellite is locked to the planet, but they can become mutually tidally locked, as happened with Pluto and its moon, Charon. This means that each of them only sees one side of the other. If we stood on our moon, we’d see all sides of Earth as it rotates, but from Earth, we see only one side of the moon because they are not mutually tidally locked. If they were, the moon would stay in the exact same spot in the sky. About half the planet would see it, while the other half wouldn’t even know it existed unless traveling to the far side of the world. This would eliminate most tides (see next section) except those caused by the sun. Randy Ellefson has written fantasy fiction since his teens and is an avid world builder, having spent three decades creating Llurien, which has its own website. He has a Bachelor’s of Music in classical guitar but has always been more of a rocker, having released several albums and earned endorsements from music companies. He’s a professional software developer and runs a consulting firm in the Washington D.C. suburbs. He loves spending time with his son and daughter when not writing, making music, or playing golf. Randy Ellefson will be awarding an ultimate world builder’s package to a randomly drawn winner via rafflecopter during the tour. 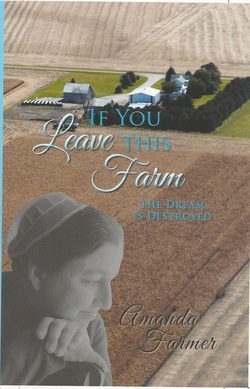 Description: My book chronicles the story of our move to Minnesota as a family when we are teenagers to farm together. The first year’s catastrophic crop failure sets off a determination by our father to totally control our circumstances and leads to 12 years of struggle by my younger brother and I to leave the farm. Interweaved into the story is our life as Mennonites and the influence that has upon our lives. Amanda grew up on the farm and worked together there with her family until the age of 29. She now lives with her husband on a hobby farm in southeastern Minnesota. They have one grown daughter. Amanda holds a Master’s Degree in Nurse Anesthesia and currently works in that profession. I grab a book to read while supper is being put on the table. Reading is my escape to adventures I probably will never see, but there is nothing to stop me from dreaming. I work in a few paragraphs before it is time to gather at the table. Daddy begins by reading a passage aloud from the Bible. Then he prays before we dig into a hearty meal of farmer’s fare: potatoes, meat, a vegetable, and always a dessert. Daddy has been talking for some time now about buying land “out West” and moving out of the crowded Pennsylvania area. Currently, Daddy is renting land in small blocks of five to ten acres, as far away as twenty miles from the home farm. He and Paul are farming around five hundred acres altogether. We all spend a lot of time on the road, traveling back and forth to the various fields and hauling the baled hay home during the long summer days. Daddy and Paul think it would be so much easier to just have a piece of land all in one block to farm. I am not so sure about this idea, but Daddy promises that if we do this, we won’t milk as many cows. We will only have maybe fifty cows. That sounds like a wonderful idea to me and I am open to an adventure. By now it is nine thirty, and I fall into bed, exhausted with dreams of faraway places and fewer cows to milk. After about an hour of reading, I make my way to the barn to stand upon my perch, from which I scout for cows that I will need to breed later in the day. Then it is time to hook the gooseneck cattle trailer to the pickup and take the bull calves that have been born in the last week to the sale barn. It is a job I enjoy. It does take a special skill to back a gooseneck trailer around, and I am proud that I have mastered it. Not many women can do what I do on a daily basis. As I return from my fifty-mile round trip, I notice a car in front of the house. Daddy is talking to a building salesman. I step inside in time to see him signing a contract for another machine shed. My heart drops. Just what we need. More buildings to pay for. I am feeling depressed, but the day is warm, so I walk out into the pasture to check on the dry cows. I lie on the grass in the pasture, with the sun on my face, and allow the tears to course down my cheeks and onto the fading grass of summer. Oh God! Help us! is all that I can pray. I want my life to be about more than paying for buildings and cows.